When the start button is pressed, the light in the cutting table is switched on and the cut-off wheel starts rotating. 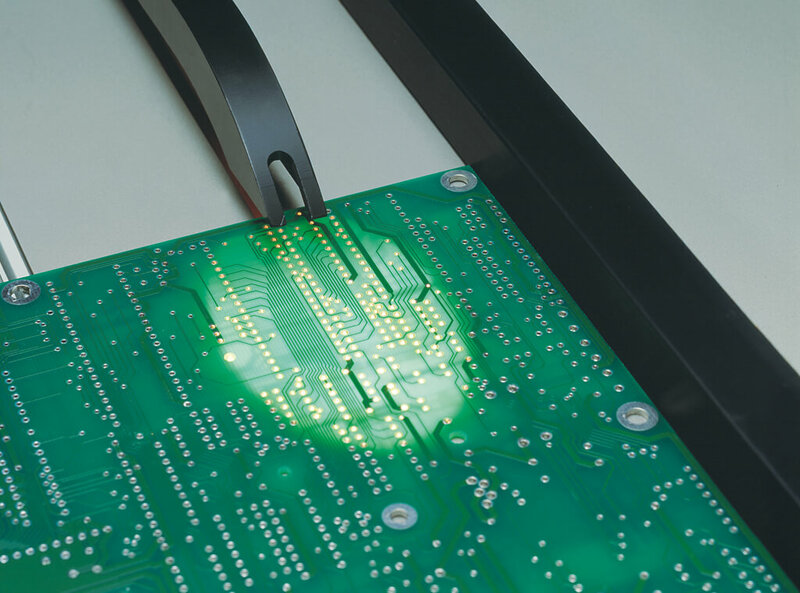 The PCB can then be positioned in front of the cut-off wheel so that the cut can be performed exactly where necessary. 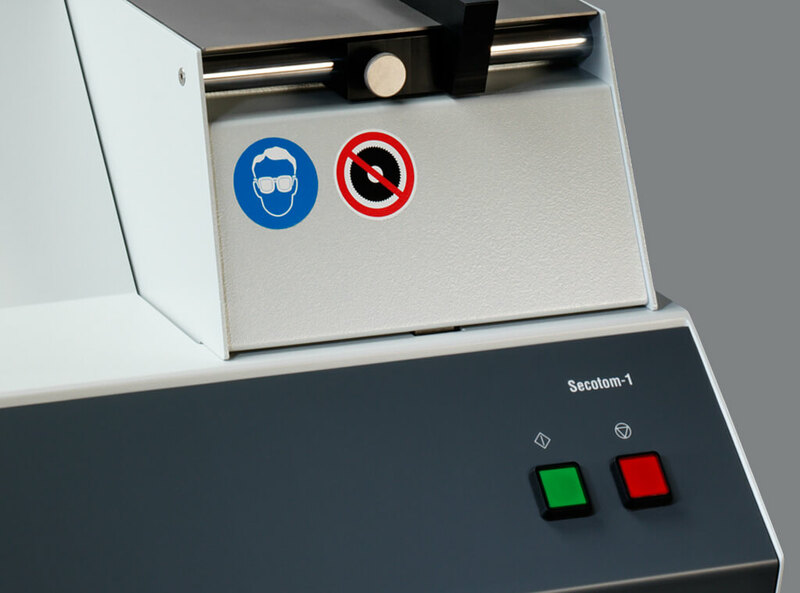 Secotom-1 has a built-in wheel cooling system to avoid damage of the sample surface. At the same time, the water holds onto the particles created during cutting, reducing the risk of inhalation. 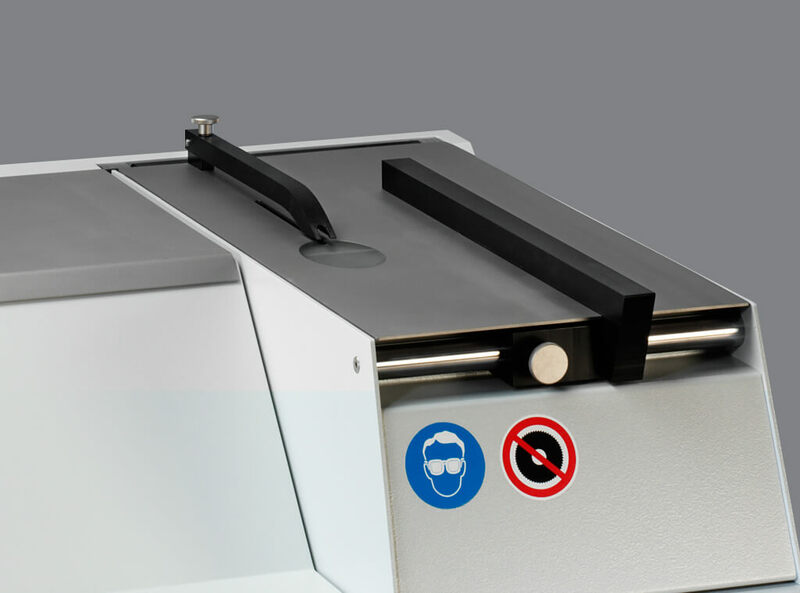 The guide rail is easily adjusted sideways, allowing PCBs or other sample material to be moved parallel to the cut-off wheel.